Are you considering orthodontic treatment for yourself or your child? Braces apply firm pressure to the teeth so they move into a more desirable position. Orthodontists have used traditional metal braces for decades to achieve this goal. 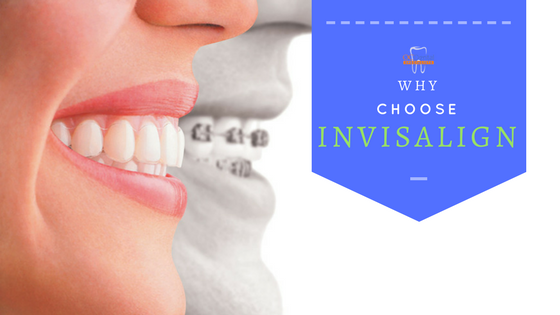 Invisalign is an attractive alternative that has grown in popularity over the past several years. Invisalign treatment involves wearing a customized clear plastic retainer that you swap out for a different one approximately every two weeks. It has numerous advantages over metal braces, including the ability to disguise your orthodontic treatment with the clear plastic trays. The aligning trays are removable. For the best treatment results, we recommend that you only take them out to eat and brush your teeth. You should also clean the trays regularly, which we will show you how to do. The average time to wear Invisalign trays is significantly shorter than traditional metal braces. According to Invisalign’s website, average treatment time is one year compared to two years with standard braces. We schedule follow-up visits approximately once every six weeks to check your progress. Appointment times are closer to four weeks apart with typical orthodontic treatment. Invisalign is appropriate for several different orthodontic problems, including crooked or crowded teeth, overbites, and underbites. We encourage you to schedule an appointment with a trusted dentist from O.C. Dental Specialists to learn whether you’re a good candidate for Invisalign treatment. We will explain the entire process at this appointment as well as answer any additional questions you have.